Blog Home > General Information > Screw Art! There has been quite a lot of press just recently about an artist from California called Andrew Myers. 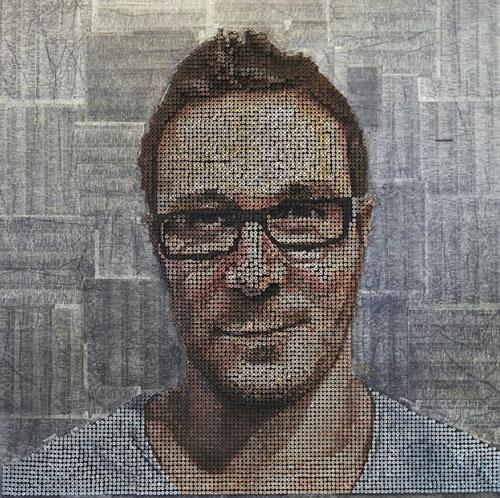 The 31 year old creates unique 3D portraits by drilling thousands of screws into wood at various depths and painting them. The number of screws used in each picture averages between 7,000 and 10,000 and they are all painted individually once in place. He has sold all of the five smaller portraits for $9,000 each, but the price tags on the larger portraits are more like $35,000 each.